In the summer of 1985, a budding, Seattle-based software company released an innovative computer program that shook the design world to its foundation and permanently reconfigured the landscape of three monolithic industries: marketing, advertising, and publishing. The company? Aldus. Its game-changing program? 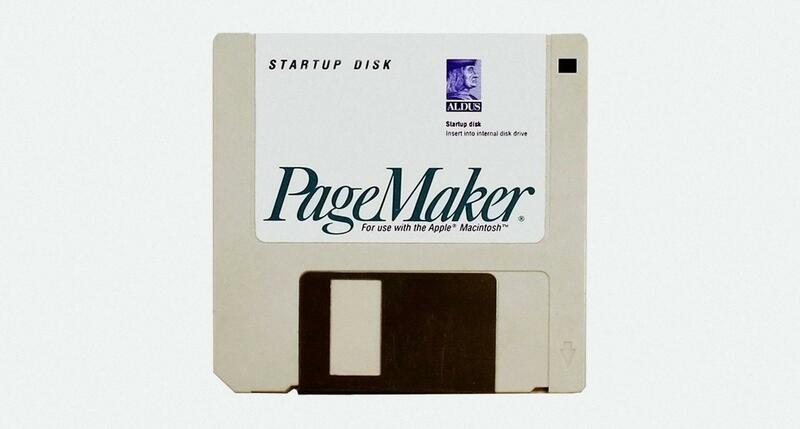 PageMaker, the first ever digital WYSIWYG design tool. Paired with the Apple Macintosh personal computer, PageMaker ignited the clipart-fueled glory of the desktop publishing revolution and placed unprecedented creative power in the hands of anyone, designer or not, willing to pay the $495 price tag. New tools equal new possibilities. Fast forward to the modern era. In a few short days, months of hype and speculation will end as designers across the globe gleefully get their hands on InVision Studio, a program being marketed as “the world’s most powerful screen design tool.” Time will tell if that’s more than a boast, but the potential is astounding. With the release of Studio, designers gain access to a single platform capable of screen design, responsive layout, rapid prototyping, animation, shared design systems, and collaboration across teams. That’s a lot to be excited about, but what does a tool like InVision Studio tell us about the trajectory of design? Where are we headed? Digital products are thoroughly integrated into our daily lives, and the technology that drives them is improving exponentially. Complexity abounds, and in order to make products that are simple and intuitive, designers worldwide are being forced to rethink and rebuild the tools they use. As we prepare to look ahead, we pause to assess the present. The design world is buzzing with conversation about design systems and artificial intelligence paired with machine learning. Both fields possess vast reservoirs of potential. Like untamed horses, we see the power and beauty but wonder which horizon they’ll run towards. Design systems intrigue because they allow diverse teams working on sophisticated projects to communicate using a standardized visual language. Companies like MailChimp, IBM, and Airbnb have made their design systems available on the web, allowing us to learn from their ongoing efforts to achieve creative freedom through visual order, clarity, and efficiency. The significance of the Design Language System, and design systems in general, is summed up perfectly by Alex Schleifer, Head of Design at Airbnb, “Here’s the simple truth: you can’t innovate on products without first innovating the way you build them.” In other words, product emerges from process, and the way designers build must be reconsidered. Will Artificial Intelligence and Machine Learning Make Designers Obsolete? 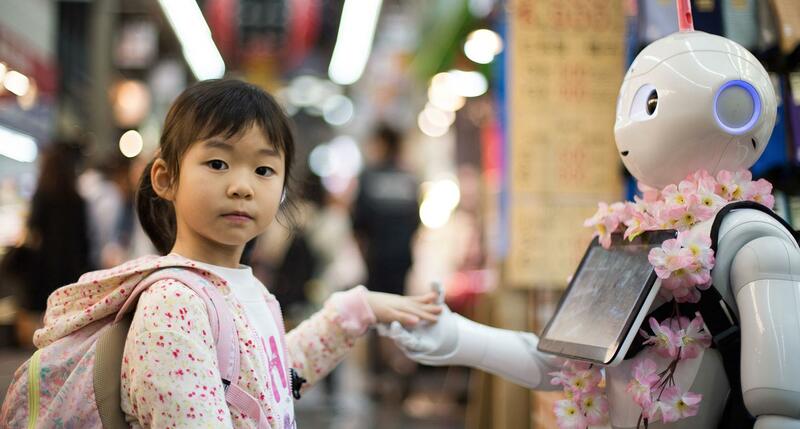 The topic of artificial intelligence and machine learning (AI+ML) seems to spur controversy and confusion whenever it’s mentioned, and its application to design is no different. For instance, will entire areas of design concentration, like type design or animation, become automated? Will creative endeavors eventually be overtaken by machines, leaving designers to simply punch in parameters and curate the results? The questions are slippery and typically posed in a way that prohibits nuance. We will envision tools that extend a designer’s skillset and offer additional creative freedom by automating mundane tasks that rob time and energy. With design systems and AI+ML situated as our launching pad, we’re now ready to power past the present and climb towards distant glimmers we can see but not yet touch. Airbnb’s Design Language System is currently used by its internal design and development teams, and as it improves, it will become more accessible to smaller companies, freelancers, and design students. But is the power of such a system only useful for communication within product development teams? Couldn’t a universal design language that classifies visual elements also be used to help us better understand the design that exists in the built and natural environments around us? 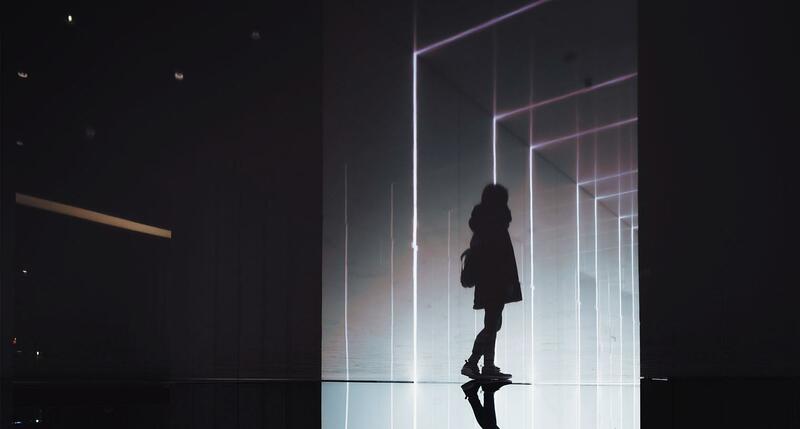 In the near future, there will be a camera-based app that observes the composition of a setting and translates its visual makeup into referenceable design elements like shape, color, and proportion. This app will not only tell us what we are looking at, it will highlight areas of aesthetic impact and harmony to help us understand why we find a setting pleasing, and it will organize that information within the context of the Design Language System. Imagine yourself walking slowly through a historic city over the weekend. You come to a beautiful cathedral and step inside to take a closer look at its ornate architectural features. 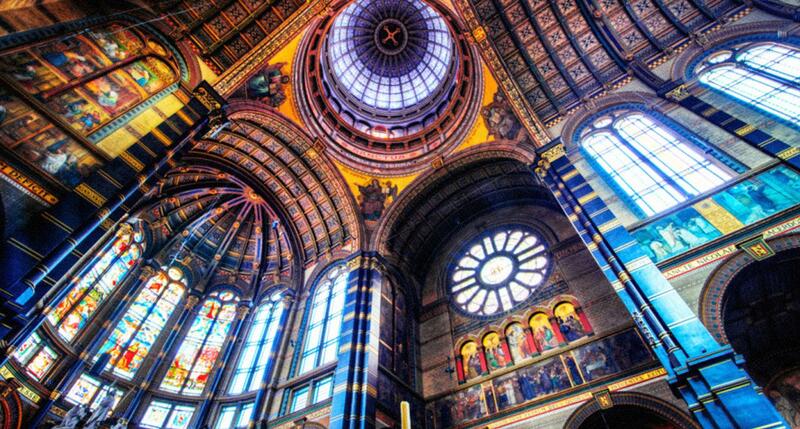 Inside, you are overwhelmed by the sunlit majesty of a massive stained glass window. Inspired, you take a photo, and the app identifies the design elements that make the window successful and adds them to your library. Later, while researching your latest design project, you open the app, review its analysis of the stained glass window, and find the perfect combination of visual elements to guide your initial concept sketches. Designers are good at solving problems and communicating visually, but many struggle when it’s time to explain creative decisions to a client. Too often, we assume that clients will recognize the areas of cohesion, correlation, and emphasis in our work. We need a better way to capture the intricacies of our craft and communicate them to our clients. To fill this need, a presentation plugin that links to any design software will emerge and aid designers in quickly preparing their work to be shared with clients. This tool will recognize important design elements (such as repetition) and encourage designers to highlight these compositional components as persuasive points. It will also help organize project proofs and visuals into thematic categories and prompt designers to answer big questions related to each phase of a project. With the power of augmented intelligence, such a tool will be able to analyze millions of previous digital ad campaigns, highlighting designs that proved effective. This type of analytics-based data will help designers validate proposals in terms of dollars and cents. It will even be able to forecast design trends and caution against overused fads that consumers are no longer responding to. You’re a designer working on a team at a small digital agency. Your team has successfully completed several small projects for a nationally recognized brand. Finally, the big brand awards your agency the opportunity to work on a highly visible digital campaign. Recognizing this make or break moment for what it is, your team rallies behind an ambitious and unconventional solution. The research, planning, and resources are all aligned. All that’s left is to pitch the design concept to stakeholders, so you run the plugin. Within minutes, everyone on the team is remembering important conversations and contributing insights about key decisions that may have otherwise been lost. As more information emerges, the plugin begins shaping the feedback into a compelling visual narrative that eventually persuades the stakeholders to greenlight your team’s vision. French writer, poet, and filmmaker Jean Cocteau once said, “Film will only become an art when its materials are as inexpensive as pencil and paper.” There is something powerful about pencil to paper, something immediate and explosive about the instantaneous transfer of idea-in-mind to idea-on-page. 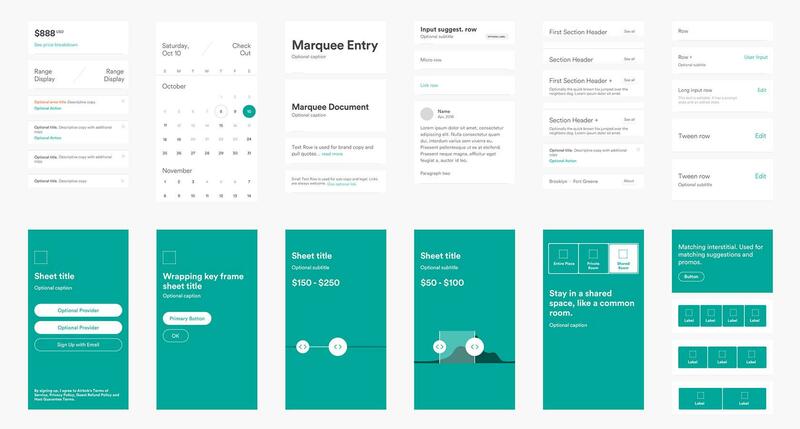 The design and development teams at Airbnb recognized this power and created a prototype that translates rudimentary wireframes into high-fidelity mockups and production-ready code. This technology will evolve, and as it does, it will sweep across a wide range of design disciplines. For instance, illustrators will create detailed concept sketches with a few flicks of the wrist by linking simple gestures to objects, animals, and body parts drawn in their own unique style. Similarly, UI designers will link rudimentary shapes and symbols to extensive component libraries and create presentation-ready mockups in real time. The possibilities are expansive. As a young, freelance brand designer, you’re working hard to build a client base, and you’ve scheduled a meeting with a highly respected business owner in your community. She’s looking to rebrand, and you’re planning to impress. At the meeting, you ask thoughtful questions and listen as she explains her hopes and goals for the project. When she finishes, you ask if you may share something you prepared beforehand. You pull out your tablet, open a drawing app equipped with the sketch to mockup technology, and begin to draw. Before her eyes, your quick scribbles are transformed into perfect shapes, patterns, typefaces, and icons. You scrawl a few different business card options, and each one instantly takes shape. That’s all she needs to see. The job is yours. Earlier, we posed a question about designers exchanging the role of creator to become parameter setters and curators of AI-generated creativity. This isn’t without real-world precedent. From TheGrid.io and its AI web design platform to the computer-generated Rembrandt backed by ING and Microsoft, we already have sophisticated examples of computers creating original art and design work, and the technology only stands to improve. However, the notion of completely handing over image creation to machines will ultimately prove unsatisfying, and designers will instead look for ways to merge AI+ML with their creative process. In the future, design software like Adobe Illustrator will come equipped with technology that observes and learns designers’ decision-making habits—the color schemes they prefer, the organic or geometric nature of their work, their approach to typography, etc. As patterns in a designer’s work emerge, the tool will suggest thoughtful, creative outliers that would not normally be considered. In this way, the designer learns from the tool, increases their creative repertoire, and the synchronicity of man and machine grows. During your time as a product designer for a retail fitness brand, you’ve developed a keen sense of what sells to consumers in your space. Your work is practical, functional, and aesthetically pleasing, but you feel that you rely on the same visual techniques and form factors too often. Luckily, your company upgrades your design software to include a creative outliers tool. On your next big project, you go about business as usual, but as you begin refinements, the tool suggests a color scheme you had never considered. You try it, and you’re pleasantly surprised by the life and vibrancy it adds to your design. Global teams made up of remote designers are increasingly common. For instance, the Toptal Design Blog is made up of writers, editors, UI and UX designers, illustrators, and SEO experts from around the world. This wouldn’t be possible or practical without amazing collaboration tools like Slack, Zoom, and Google Docs. However, time zones still find ways to disrupt meetings and threaten deadlines. Working on a remote team is great, but it can easily become all-consuming if one doesn’t set up boundaries for rest, entertainment, and time with family and friends. Soon, global design teams will transcend the time zone/sleep barrier as AI+ML assisted collaboration technology is able to learn a user’s communication style and decision-making patterns. This technology will be capable of nuanced syntax and tone depending on the scenario and conversation partner. It will be a standard feature in most messaging platforms and will allow users to customize the amount of decision-making power it has. You’re the lead designer of a remote UX team, and most of your conversations take place in Slack. Your team is operating smoothly and on schedule, but you’re onboarding a new designer with a ten-hour time zone difference. At the end of your workday, you enable your collaboration tool and give it permission to provide basic, onboarding related answers to your new hire. While you sleep, the new designer asks you a question about file naming conventions. The tool immediately replies and includes a link to a document outlining the team’s procedures. She continues her workday, and you sleep peacefully knowing that your team has everything it needs. One of the more difficult aspects of being a designer is receiving design related criticism. Client feedback can be wildly unpredictable, but even before a concept is shared with a client, it should be subjected to some sort of creative critique. Currently, our best option for critique is asking a designer friend for constructive input. If that fails, many designers seek feedback from the creative communities on portfolio sites like Dribbble and Behance. We need a better solution. 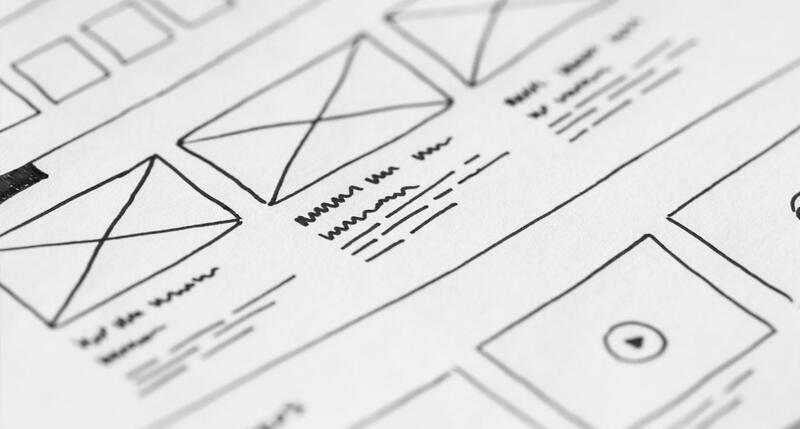 Very soon, UI design software will come equipped with a tool that offers real-time analysis, critique, and analytics-based improvements to a designer’s work. It will compare UI designs to a myriad of usability heuristics (rules of thumb) and flag results which are noncompliant. This tool will also be linked to a network of designers. After the software has reviewed a design, the designer will have the option to get further feedback by submitting their work and a summary of its computer-generated analysis to designers from the network. You’re a self-taught UI designer, and you’ve landed a project designing a web app. The scope of the project is bigger than anything you’ve ever worked on, but it’s well within your skillset. Still, you want to be certain that your solution will be of value to your client. As you design with your critique tool on, it makes small suggestions for improvement that you wouldn’t have considered. You finish your mockups with confidence that they’re close to completion. However, there’s one particular screen that needs feedback. You’ve tried something new, intentionally breaking a well-known design rule in order to create emphasis. So, you upload your work and a summary of the tool’s feedback to the critique network and ask a group of trustworthy designers to weigh in. Do we have enough imagination for the future? What about for tomorrow? Our ongoing exposure to new knowledge, products, and experiences is astounding, but design is a skill-based process. Skills are hard to come by, and processes are slow to change. If we’re honest designers, we must admit our tendency towards professional myopia. We have a strange obsession with the now that lacks vision and agility for the discoveries ahead. What we expect to happen often doesn’t. Still, the future approaches. As our products evolve, so must our design tools and processes. Today, we learn and master our tools over time. We study the design process and tailor it to fit our problem-solving needs, but the path to a solution is often paved with maddening obstacles like managing multiple communication channels, enduring a teamwide shift to a new design software, or lacking the time and budget to properly test a product. The future has the potential of a new paradigm, one in which our design tools learn and adapt to us. We beckon a day when our creative energies are captured in their fullness rather than constrained by communication barriers, a day when our inspired efforts are refined for maximum impact rather than reduced by unintuitive tools. With the way our tools and technology are evolving, that day may be closer than anyone thinks. What tools are used for graphic design? Graphic designers use a variety of digital and analog tools. Popular digital tools used by graphic designers are Adobe Photoshop, Adobe InDesign, and Bohemian Coding’s Sketch. Some common analog tools that graphic designers use are pencils, felt markers, paper, and rulers. What is the best design software? Within the design world, there are multiple areas of focus, and each area has its own preferred design software. For instance, many UI designers rely on Bohemian Coding’s Sketch, whereas professional animators use Adobe After Effects. What program do designers use to make logos? The design program most widely used by designers to make logos is Adobe Illustrator. Illustrator is a vector-based graphics program that allows designers to create logos which can be scaled to any size without pixelation.